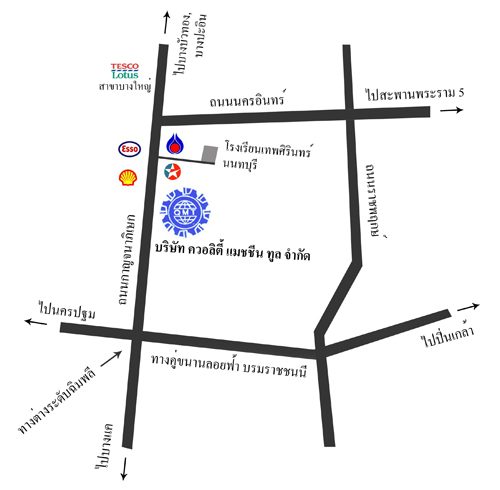 QMT thailand – QUALITY MACHINE TOOLS CO.,LTD. QUALITY MACHINE TOOLS.CO,LTD. (QTM) was established in 1990 as a machine tools and machinery accessories supplier. QMT represents several world class brand products i.e. SANDVIK, TRAVERS, SUMITOMO, WAMPFLER, AG, ect. Later in 2008, QMT moved further into the port and mining industry sectors. QMT can supply the machineries and spare parts including doing the installation works and retrofitting for port and mining machineries i.e. STS (Ship to Shore cranes), RTG(RubberTyre Gantry cranes), Stacker, Motorized Cable Reels, Festoon System, Enery Guilding Chain, Warehouse cranes, all types of cables, up grade the RTG or STS and ect. QMT also can supply the spare parts of braking system (i.e. ICAN, Pintsch BUBENZER), joystick controllers (Spohn + Burkhardt, David Brown GT – China).QMT can provide the turnkey project of E-RTG with the proofed successful projects in china port. QMT can provide the turnkey project of E-RTG with the profiled successful projects in Chana port.QMT can provide the retrofit for all types of port and mining machinerices like STS(QC), RTG, RMG, Stackers, port cranes and etc. Involves usage of specialized works and equipment to identify, repair and solve equipment problems at the early stage. Involves maintenance works performed on time schedule which includes inspection, servicing an cleaning. Involves early detection of existing conditions and possible happenings before equipment breakdown. Involves repair works due to equipment or machinery breakdown.